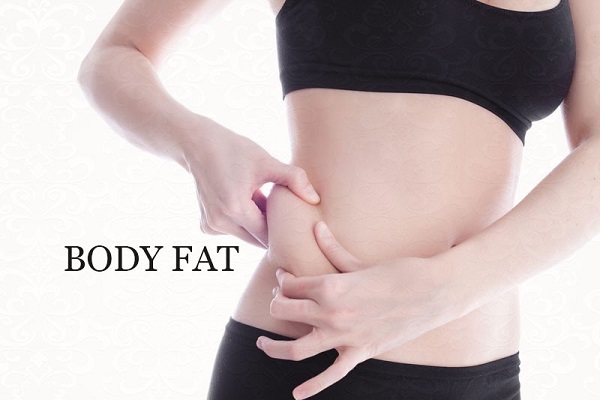 The fat in a person’s body is stored in fat cells distributed throughout the body. Their main role of fat cells is to store energy for later use. Human body runs on energy. Calories you consume through the food you eat are fuel required for various functions such as digestion, breathing, brain function etc. When you consume more calories than your body needs it gets stored in the tank – the fat cells. On the days you consume less calories than your body needs and there is shortage, it dives into the reserves – the fat cells. You can fill them up or empty them, but you can’t get rid of them – they always stay there, they just get bigger or smaller. Everyone is born with a predetermined number of fat cells. Some people are born with more than others. This is perhaps the reason why some people have an easier time gaining weight compared to others who eat the same diet. An infant usually has about 6-7 billion fat cells. An average healthy adult has about 25 to 40 billion fat cells. 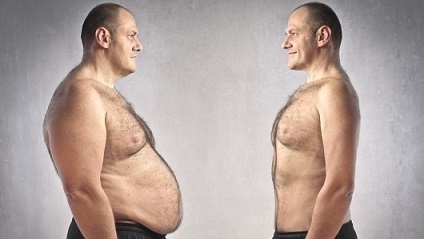 An overweight person has around 75 to 100 billion fat cells. And in the case of severe obesity, this number can be as high as 200 to 300 billion! Can You Grow New Fat Cells? New fat cells are created if you consistently eat more than your body needs for energy and gain a lot of weight. Once you have a new fat cell, it is yours to keep. When a fat cell expands to about three times its normal size, it splits and makes new fat cells. Much of what happens in your early life can have a huge effect on the final number of fat cells in your adult years. Fat cells – unfortunately – never go away. Fat cells numbers can increase throughout life but they cannot decrease except through liposuction which has many potential hazards. Liposuction can reduce the number of fat cells in the body but it cannot stop fat from coming back if you do not maintain a healthy lifestyle. When you lose body fat, the fat cell does not go anywhere. It stays right where it was just under your skin on top of the muscles. Can You Shrink Fat Cells? Fortunately, you can shrink the size of the fat cells but you can’t shrink the number. Even someone with large number of fat cells can shrink all of them through diet and exercise, thereby becoming dramatically thinner and leaner. The size of the cells shrinks but the capacity to expand is always there. Despite the extraction of fat cells through liposuction, the ones remaining can always get bigger or smaller depending on a person’s diet and fitness. This means that it is better to try to maintain a normal weight than to gain and lose weight on ‘quick fixes’ types of diet. Someone who has maintained a normal weight and has been relatively thin all their life will have an easier time staying as that weight than someone whose fat cells have swelled and multiplied. How is body fat burned? Fat cells are like storage tanks where fat is stored in the form of triglycerol. When your body needs to use stored fat for energy, fat is released from the cells. For the fat loss to occur, you must get the fat cells to release the fat from it into the blood stream. 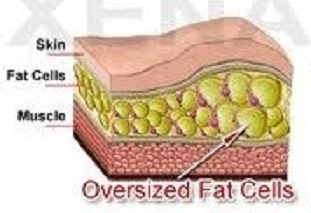 The fat cell stays right there where they are in the body and the fat is not burned in the fat cell. The fat must be liberated as free fatty acids from the fat cells into the bloodstream which is then transported through the blood to the tissues where they get burned for energy. When fatty acids are released from the fat cells, the fat cell shrinks and becomes smaller and this is what makes one look leaner.